Thanks to Sudhir Singh for sending this information in. Heartfelt gratitude for sharing it with other enthusiasts via this Team-BHP page! Ford has added the sunroof option to Endeavour's 2.2 4x2 Titanium variant and now costs Rs. 29,57,200 (ex-showroom, Delhi). This feature addition should provide an option to customers who want the sunroof but don't want the higher-priced 3.2L 4x4 variant. Ford launched the Endeavour back in 2016 with two diesel engine options. A 2.2-litre and 3.2-litre with prices starting at Rs. 24,75,094. Initially, the 2.2 was available with a 4x4 option as well and the 3.2 came in two variants. In September 2016, the Ford reduced the prices of the Trend variants. In November 2016, the prices were revised yet again, this time an increase in the Titanium variants. By March 2017, Ford had revised the prices 3 more times. The last revision being a price reduction in the 2.2 4x4 MT Trend variant. In July 2017, two variants were scrapped and the MT option was discontinued. Immediately after this, prices were revised yet again and the discontinued models reintroduced. Ford has been changing the variants as well as the features and prices frequently on the Endeavour. 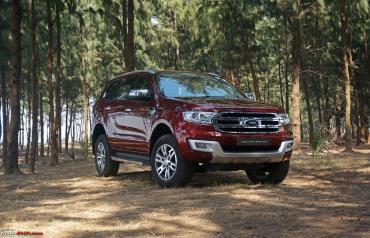 These frequent changes to the Endeavour's variant line-up can be attributed to the low sales figures of the SUV. 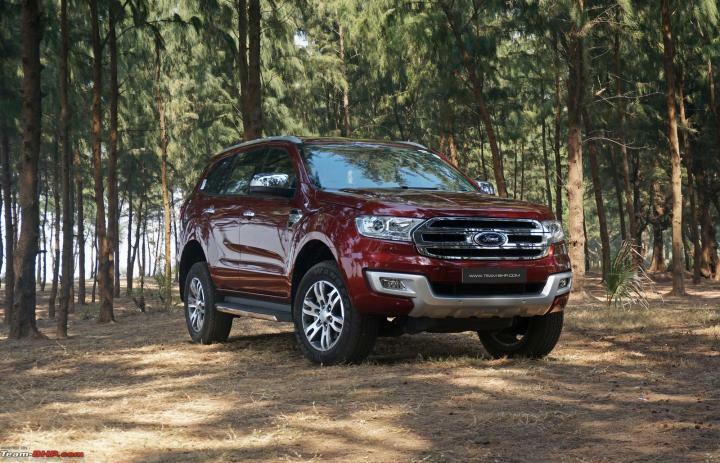 The Endeavour hasn't been able to compete with the Toyota Fortuner, which leads the segment by quite a margin. In the last 4 months, the Endeavour has been selling less than 600 units per month while the Fortuner clocked approximately 2000 units per month.